If you haven’t at least heard the name Rocky Balboa by now, that’s a worry. Chances are, the average person has at least some knowledge of the inaugural inductee into the Fictitious Athlete Hall of Fame; whether that be his unorthodox training methods, infamous dash up the steps leading to the Philadelphia Museum of Art (which now colloquially bear his namesake), or the larger-than-life opponents he faced. For 42 years, the series has become an industry standard for sports drama films, creating a formula that balances the battles a boxer has in the ring and outside of it. 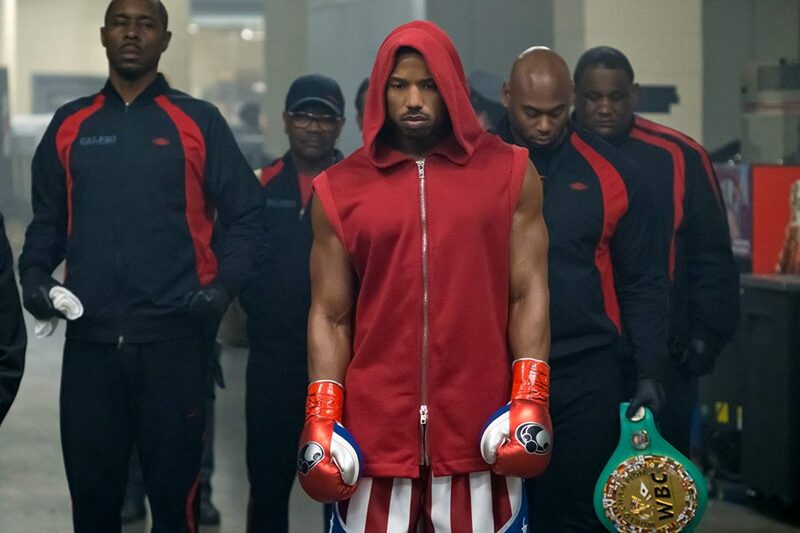 What viewers will get from Creed II, the eighth film in the franchise and second to focus primarily on the son of Rocky’s first professional opponent Apollo Creed, is a strong display of the moments that have defined the series thus far with a re-imagination of others to keep everything old but original all at once, giving something to both the veteran champion and new-to-the-scene contender alike. Within several predecessors under its belt, the film ties up the loose ends of its immediate past well before one realises what hit them. Adonis Creed (Michael B. Jordan), building off his status as a respected fighter, earns the world heavyweight championship and proposes to long-time (and hard-of-hearing) girlfriend Bianca (Tessa Thompson) in quick succession. He leaves his Philadelphia hideout to return to Los Angeles – the city that once belittled him, but now looks as small as he was from his extravagant residence (one can only assume in the notorious Hills area), closer to his adoptee mother Mary Anne Creed (Phylicia Rashad) but far from father figure and boxing coach Rocky Balboa (seriously, if you need to know who plays Rocky Balboa, I worry. Sylvester Stallone). With Bianca expecting, respect from his industry, and more money than one ever needs, life is going well for Creed. Not so well, however, for Ivan Drago (Dolph Lundgren). Since the events of Rocky IV, where Balboa beat the 6-foot-8 poster boy of Russian might, he has sought refuge in the Ukraine, his spiky blonde hair thinning, blue-eyes now deadpan, and respect lost. He channels his frustration through his son Viktor (Florian Munteneau), a labourer-turned-boxer whose size and ferocity is near-animalistic. Both scorned by the abandonment of Ivan’s wife Ludmila (Brigitte Nielsen), a burning hatred against Balboa and Creed drives them to rise to the top of the industry, setting up the chance to win back everything they lost 33 years ago. Whilst the story follows a similar progression to Rocky IV, the film provides a much-needed and rarely seen before insight into the Dragos. Arguably one of Rocky’s greatest and most intriguing contenders, the film sheds any Cold War-era stereotypes to give the audience a real insight into the mindset of a broken fighter torn between the duty he has to his son, his country, and his broken honour. Lundgren’s and Munteneau’s performances are an unexpected but very welcome surprise, a pair as watchable as Stallone and B. Jordan, with the emphasis on their relationship with Ludmila doing something not observed in any other Rocky film; making the audience root for the villain. Director Steven A. Caple lengthens the icy stares the three share towards each other in their few shared scenes just long enough to demonstrate this strained relationship, allowing the audience to find even more significance in every punch thrown by Viktor in later boxing scenes. Stallone and Jordan in Creed II. Image via IMDB. 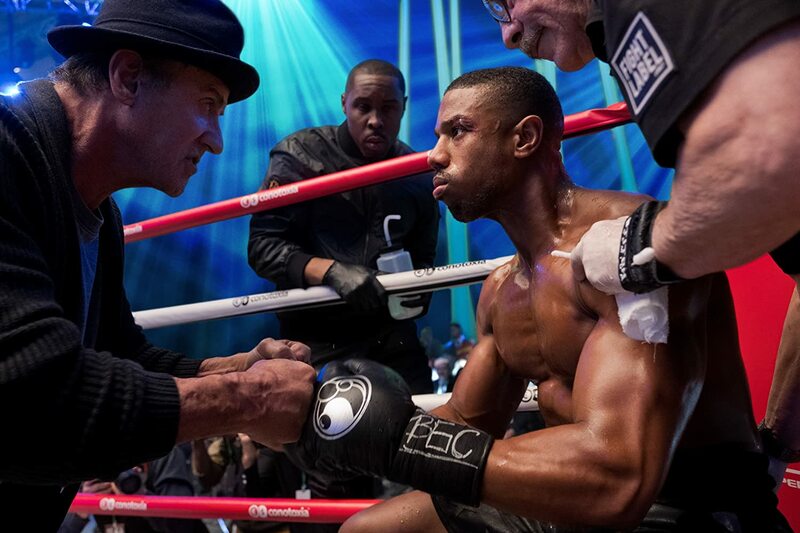 Jordan, Stallone, Thompson and Rashad provide equally strong performances to their Russian counterparts, keeping up the chemistry they created in the first Creed. Jordan’s impulsive but caring take on Creed is distinctly millennial, showing an adequate amount of development as he deals with the issues of fatherhood and pride but yet still sticking to the likability and humour that drew audiences to him in the first place. His training montage, set in a remote boxing training camp, is the best this century. Thompson and Rashad play characters that progressively fade throughout the film, but given all the other action weighing on Creed’s mind this does not detract from the overall story. What is distressing is Stallone’s Rocky. Not from a performance perspective – as usual, it is apt. Yet, his reconnection with his family, successful cancer treatment, and constant visits to the graves of his wife and best friend show a growth that forces audiences to ask: where does Rocky go now? His end seems natural, and whilst a send-off is befitting, for sentimental reasons I am not ready to see him finish. With (seemingly) nothing left to fight for, I fear he may not be around much longer in the next movie (which given its success in America seems like more than just a probability). Now, as a boxing film, it is only obvious that the boxing scenes must deliver. Caple’s use of the shaky camera technique, POV shots, and unusual ringside angles bring the audience closer to the action than ever before, showing the excitement of seeing a professional fight as well as the fear of being in one. Jordan and Munteneau bring a natural aggression to their choreographed sequences that increases their realism, with masterful sound mixing by Damien Canelos and Bill Donnelly making the crushing of ribs and thunderous crashes to the floor so pronounced the audience feels the pain in their own bodies. This is particularly the case with Munteneau’s punches – thanks to world-class cinematography, his sparring partners and fellow contenders become dolls, their pathetic falls to the ground conveying the true power of his screen-filling size. In any case, Creed II is just as good as its original. Whilst it is best to watch both Creed and Rocky IV beforehand, there is enough in there to allow the film to stand on its own, making it a worthwhile contribution to one of the world’s longest-lasting franchises. Definitely a film made to be a summer hit.